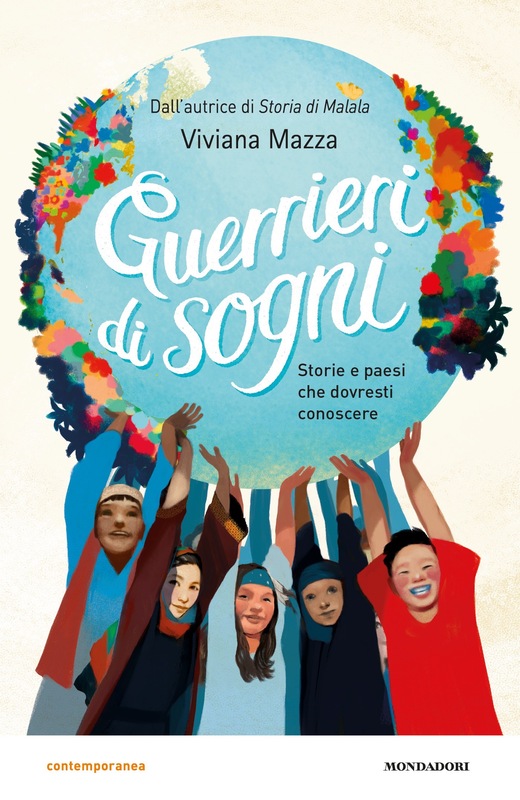 Thirteen moving stories, about real girls and boys from all over the world, who fight for their dreams, narrated by the sharp and lively voice of Viviana Mazza, accompanied by Paolo d’Altan’s sophisticated illustrations. for a lifetime, put your faith in people. This Chinese saying describes the actions of the characters in this book. They put faith in their abilities and take a chance to fulfil their dreams. In China, ever since he was a small boy, Wang Fuman spends his days walking, in the freezing cold on his way to school; in America, Emma fights against the unrestricted sale of firearms, after having lost one of her school friends during a shootout; in Afghanistan Negin studies to become an orchestra conductor despite music being considered immoral in his country; little Nojoud, a Yemen child bride, rebels and demands a divorce. Finally there is Yacoub, a refugee in Italy who has been searching for his mother for years. They, and all the other children whose stories are told in this book, are dream warriors. They are also our future.